When it was uncertain that Cuba would remain open to roundtrip cruises from the United States, it was never a worry that the ships on the route would be incapable of redeployment. 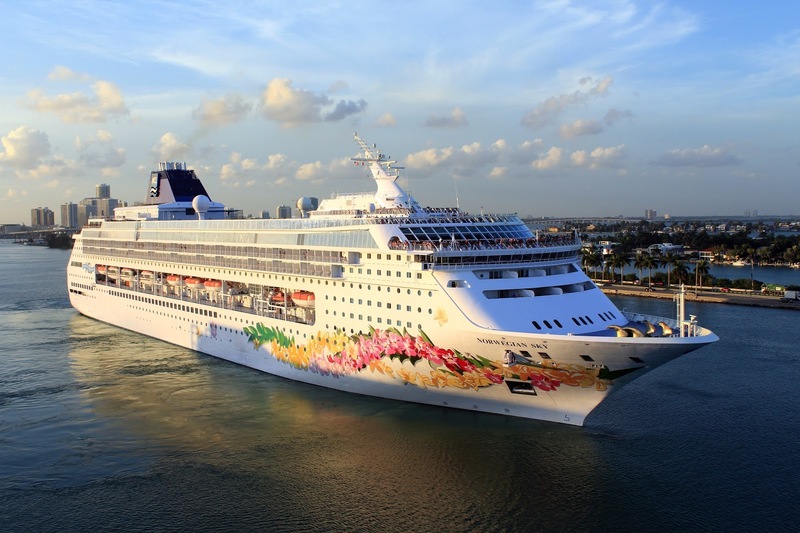 Executives like Frank Del Rio, president and chief executive officer for Norwegian Cruise Line Holdings Ltd., repeat that in troubled times, cruise ships can go anywhere. It’s true. A ship originally slated for the Caribbean can easily end up in Alaska or Europe seasonally, but often that’s the plan all along. What may not be anticipated are geopolitical tensions or fears of terrorism that warrant ships go elsewhere. The latter has been the reason cruise lines have shied away from Turkey in the Mediterranean, for example. More recently, cruise itineraries from China have stayed clear of South Korea due to heated relations between the two countries. It was looking for awhile like the Trump administration would cease permissions for cruises to Cuba, but thankfully Norwegian Cruise Line and Royal Caribbean International were allowed to continue and Carnival Cruise Line has since been able to make its inaugural run as well. If not, the Norwegian Sky, Empress of the Seas and Carnival Paradise, respectively, would just have had to cruise to lands beyond, likely still in the Caribbean. In the Caribbean and the Mediterranean, there are plenty of alternative ports to go to when some become off limits, but such is not always the case. For the Chinese cruise market, the loss of South Korea as a destination has limited where local ships can head, particularly on itineraries with short durations. In those cases, Japan is an option, but port capacity saturation is then a concern. 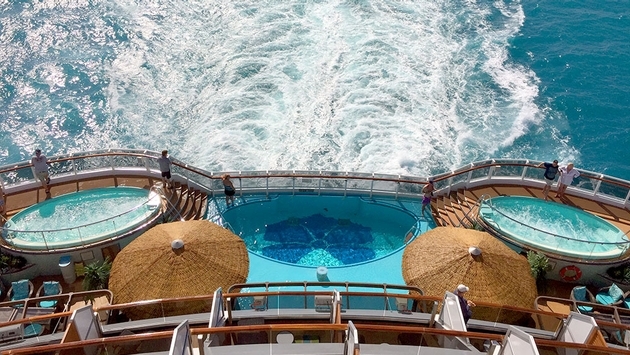 Once a booming market, cruise lines may have to rethink their long-term Chinese potential. Princess Cruises’ Majestic Princess—partially for this reason, as well as consideration of other growth markets—has opted to no longer dedicate itself to China year-round as originally planned. It also now has intentions for Australia-based cruising in 2018 and 2019. When a cruise ship is built generically for any market, it is easy to deploy anywhere in the world, but when it is purpose-built like the Majestic, it is more challenging to take away. Whether or not the ship will see any sort of redesign prior to its Australian deployment is still to be determined. Still, the vast majority of cruise ships are geared towards the American market and can go pretty much anywhere in the world, catering to our sensibilities just fine. As ships have aged out of their original brands, they have often gone on to later service international clients for different companies. However, now foreign markets are demanding new-builds as much as the American one, leaving older ships somewhat in limbo. It’s easiest for the most popular fleets to deploy wherever they need to and still have a following, but mature vessels have a harder time of either competing in high-traffic regions or being handed down to other markets. That’s why it’s always crucial for the cruise industry to be developing new port and destination options for the wide variety of international vessels to service. As long as they exist, there are plenty of places to go around for them all. Having movable assets is a freedom that most shoreside industries don’t have. Even with its occasional challenges, including tracking complex global conditions, the international cruise fleet has it good compared to, say, a fixed retail shop with poor sales in a failing regional neighborhood. For all the fuss river cruise lines make about their pretty ships (and don’t get me wrong, most are a visual delight), the truth is that many of the most memorable river cruising moments don’t take place on the water – they take place on land. Yes, images of boats sell cruises. And yes, we all love to get a sneak peak of and visually approve of our sleek vacation accommodations before we journey out into the world. But in theory, those accommodations are just a means to an end, a literal vessel to bring us to the places we battle through long flights and jetlag to get to: the destination itself. In recognizing that, river cruise lines are steadily highlighting and enhancing experiences that go beyond the hardware with ever more intriguing onshore programs. 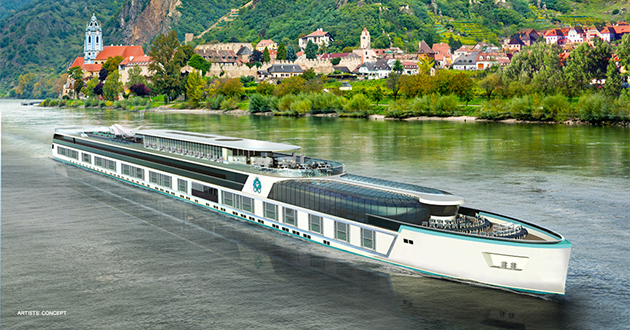 For instance, Crystal River Cruises has said that in addition to its onboard culinary program, its guests will have access to dining experiences at Michelin-starred restaurants. In fact, each 2017 Crystal river itinerary will feature at least one Michelin-starred dining opportunity, the first of which will be complimentary, the company has promised. Tauck, a tour operator first and foremost, has repeatedly touted its emphasis on and investment in onshore experiences. The company recently announced that it would continue along that path by adding more and enhanced shore excursions for 2018. Along those lines, Tauck has secured exclusive pre-opening visits to Versailles and after-hours tours of the Louvre (both of which have been piloted on select departures in 2017 and will be expanded for next year). In 2018, some river cruise passengers will also be invited to a private Tauck dinner inside the German Parliament building, and there will be an included lunch at Alain Ducasse’s newest restaurant, Ore, in Versailles. Hotel barge company European Waterways said that it has also noticed that passengers are asking for more immersive and experiential encounters ashore. In response, the company is adding excursions such as an exclusive tour of a castle garden in Scotland led by the head gardener, and the opportunity to try some fresh oysters after a private tour of an oyster farm. In recent years, European Waterways said that it has also worked to better curate its wine tastings excursions to passengers’ tastes and to enhance the culinary experience by including more private cooking demonstrations with regional chefs. You see, while it’s definitely a close cousin of ocean cruising, river cruising is by nature of the restricted size of the vessels never going to be able to bank on the “ship as the destination” appeal that many blue-water behemoths benefit from. Thus, while the promise of a fetching ship and a comfortable mode of travel may lure many travelers to river cruising, it will ultimately be the “wow” moments onshore that are likely keep them hooked. The National Transportation Safety Board issued a final report on the September 2015 fire aboard the Carnival Liberty, pinning the blame on engine bolts that had been insufficiently tightened. The fire occurred while the Carnival Cruise Line ship was docked in Charlotte Amalie in the U.S. Virgin Islands on Sept. 7. It led to a precautionary evacuation of the ship. In its report, the board said it found loose bolts on a flange that held a fuel intake line to one of the diesel generators, probably because of improper tightening during maintenance and pipe vibration over time. That triggered an uncontrolled fuel spray from the connection onto a hot part of the engine. Because the ship was in port and many passengers were ashore, there was confusion in tracking how many people were evacuated. The report recommends that Carnival better train the crew in the use of the water-based fire extinguishing gear in the engine room. It also said Carnival should establish or improve its procedures for accounting for persons aboard in a mass evacuation in port.